First there's Alfreta Sailor, yes me. (All tongue in cheek). Well, don't laugh, I am a legend in my own mind. Ms. Sailor spent her childhood years in Atlanta, Georgia, USA. She graduated in, 1965 from S.H. Archer High school. She's taken college classes over the years from her adopted home in Pasadena, California. She's a very proud mother of five, and a grandmother of six. 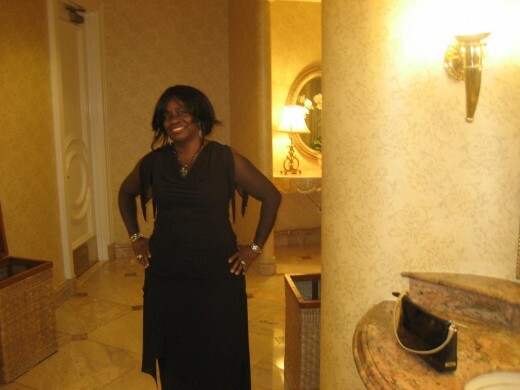 Alfreta is an entrepreneur, she's operated several businesses throughout her life. One being a courier business, so named "Freta's Fast Delivery And Errand Service." 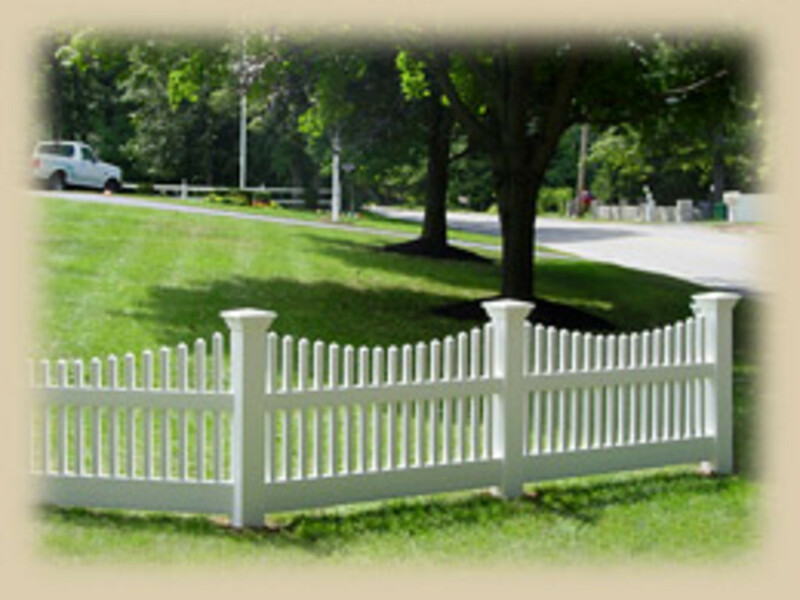 Through that business she and her staff had the pleasure of meeting and working with several well know personalities. Not the least of which was Michael Jackson, whom she worked for, for the better parts of 5 years. Alfreta writes on a very popular Article Writing Site called HubPages.com. 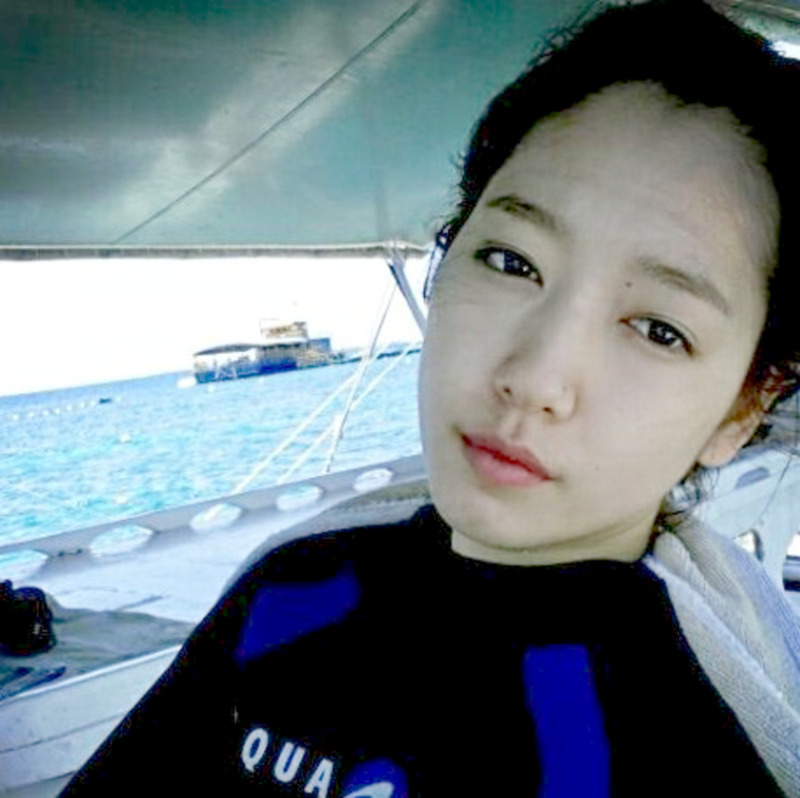 Her milestones are ranking very high on Google for various and sundry article, dealing with a variety of subjects. Check her out here under, "Fastfreta on HubPages." Be sure to read some of her moving articles, like, "Do You Have I Problems," Women Learn to live alone, while learning to live, the very funny, "Why Am I Always Late," and many, many more. Don't miss the very moving article, "Play With The cards You Are Dealt." 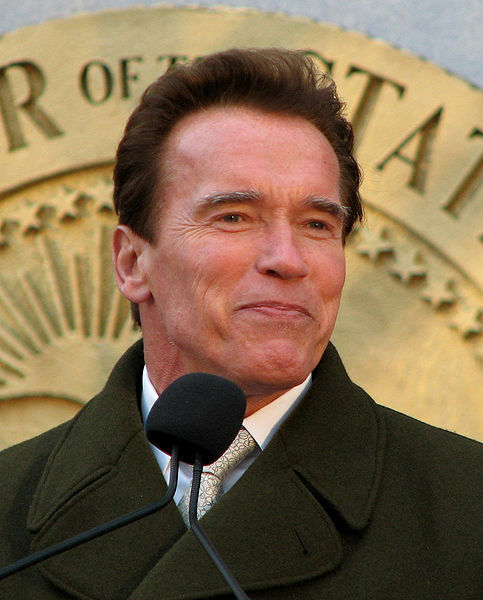 Arnold Schwarzenegger is an Austrian-American, politician, actor, bodybuilder, and businessman, not necessarily in that order. He was born, Arnold Alois Schwarzenegger, in Thal, Austria. His recent claim to fame is being California, USA's, 38 Governor, from November, 2003 to January, 2011. He's married to Maria Shriver, one of the famed Kennedy clan. Mr. Schwarzenegger was a bodybuilder who earned several awards in that endeavor, two of which were the titles of Mr. Universe, and Mr. Olympia. He came to fame as a Hollywood action film icon, in such movies as Conan the Barbarian, The Terminator. For more information please go over and read his bio on Wikipedia under Arnold Schwarzenegger. 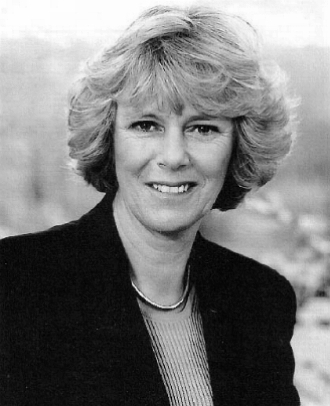 Camilla Parker Bowles, now known as Camilla, Duchess of Cornwall, was born Camilla Rosemary Shand. She also holds the title as Princess of Wales. Camilla was born in, July, 1947 in London, England. She's currently married to Prince Charles, Prince of Wales. This is the second marriage for the Princess. She was to married Andrew Parker Bowles on July, 4, 1973. The two had two children, a boy named, Tom, and a girl names, Laura. Although she met the Prince in 1970, and through an unfortunate set of circumstances the two did not wed as they had wanted to, and eventually married other people. For more of the story please follow this link. Camilla Parker Bowles. Carlos Santana was born Carlos Augusto Alves Santana, in July, 1947, in Autlan de Navarro, Jalisco, Mexico. Santana is a Mexican American rock guitarist. He became famous in the late 60's and early 70's with his band Santana. The band was said to have pioneered rock, salsa, and fusion. He's won numerous awards, not the least of which is 10 Grammy Awards, and 3 Latin Grammy Awards. For more on the Man and his music check out his website, Santana.com. 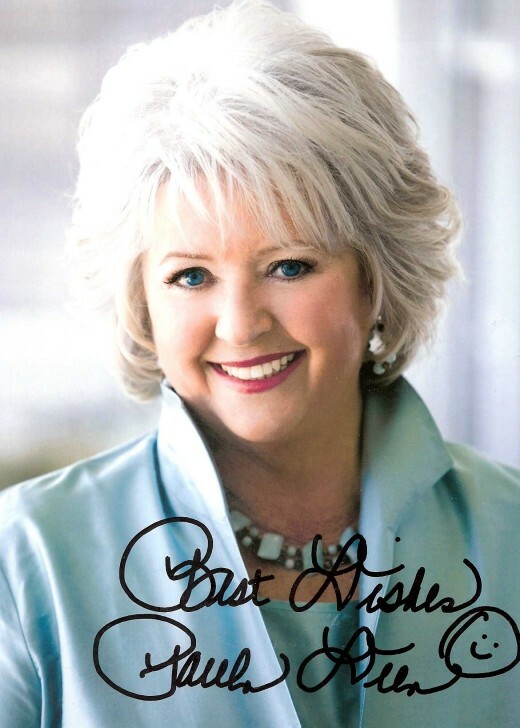 Paula Deen (born January 19, 1947) is an American cook, restaurateur, and author. She's even garnered the distinctions as, actress, and Emmy Award winning television personality. Ms. Deen was the 2011 Grand Marshall of the Pasadena Rose Bowl Parade. An interesting and little known fact about her is that she suffered from agoraphobia, (check out my article on phobias for the definition of agoraphobia, (Phobias-Phobias-PhobiasOh-So-Many-Phobias). Although being somewhat of a disability, it probably contributed to her rise in popularity, because it's been said that she relied on cooking to help her deal with her "malady." Deen has written several books, not all on cooking. For more information take a look at her website Paula Deen.com. 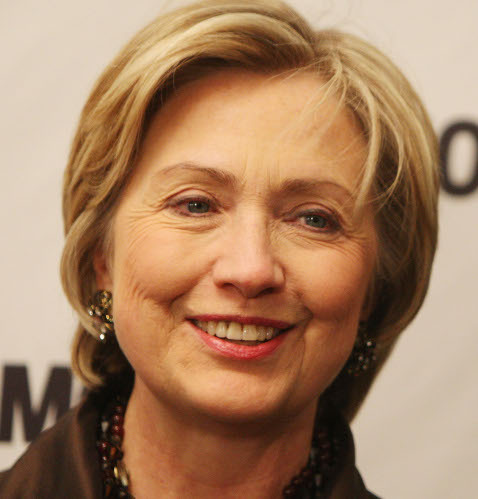 Hillary Diane Rodham Clinton is the 67th United States, Secretary of States. Her previous claim to fame was as the First Lady of The United States of America, her husband being Bil Clinton, the 42nd president of the United States, from 1993 to 2001. There is also an official website for Mrs. Clinton. Official website. 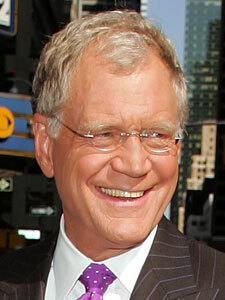 David Letterman was born David Michael Letterman on April 12, 1947, in Indianapolis, Indiana, USA. Letterman is an American television host and comedian, with a late night television talk show, Late Night With David Letterman, on the CBS television network, USA. He is also a television and film producer. His production company is named Worldwide Pants, it not only produces his show, but other well known shows as well. For more information check out his bio on Wikipedia under David Letterman. 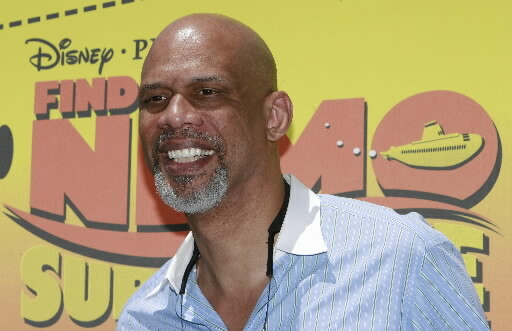 Kareem Abdul Jabbar was born Ferdinand Lewis "Lew" Alcindor, Jr., on April 16, 1947 in New York City, New York. He is a retired basketball player, coach, actor and author. Jabbar is an astonishing 7ft. 2ins tall. He played for the Milwaukee, Bucks (1969-1975) and the World Champion Lakers (1975-1989). A few statistics for basketball aficionados, or better yet those of us that are not so basketball savvy: He was 6 times NBA Most Valuable Player, NBA Rookie of the year, (1970) 19 times All Star, 2 times NBA MVP, 2 times USBWA, College Player of the year, Naismith College Player of The Year. These are just some of his personal accolades. The teams he played on were equally as illustrious during the time that he played with them. Danielle Steele, was born, Danielle Fernande Dominique Schuelein-Steel, on August 14, 1947, in New York, New York, USA. Ms Steele is an American romance novelist. She is best known for her dramatic novels, which has sold more than 800 million copies worldwide, and is the eighth best selling novelist of all time. "Her novels have been on the New York Times bestseller list for over 390 consecutive weeks and 22 have been adapted for television." She was listed in the Guinness Book of World record as having a book on the New York Times Best Selling list for the most consecutive weeks of any other author. Want to know more? Go over to her official website, Danielle Steele. I hope you've enjoyed my selection. Of course there are many, many more, such as Dan Quayle, Elton John, Farrah Fawcett, Steve Forbes, David Bowie, Cheryl Tiegs, Richard Dreyfuss, and so on and so on. I would like to have given info on more of them but space and time doesn't allow. For the curious go Google the year and you'll see more. Watch on CBS.com. Full Episodes, Clips and Behind the Scenes footage. David Bowie 1947 - 2016. Enjoyed your post. Love to read biographies and see how others overcame their challenges. Lucky you to have met Michael Jackson. He was truly an original entertainer. When he came on the scene in 1983 with his video THRILLER, he was truly unique. Wishing you the best for the new year 2019. Hi Lantokey, Yes I do remember her. Thanks for the info. And thanks for stopping. Sorry it took so long to answer I don't stop over often enough. The actress Shelly Hack who replaced Kate Jackson in the third season of Charlie's Angels the 1970's T.V. female detective series. Thanks Limpet for continuing to add to my hub, with all of your very helpful info. Talented Hollywood actress Glenn Close was also born in 1947. The first appearance of her i ever saw on the screen absolutely amazed me at her incredible alluring beauty. In addition Ms Close is a multi award winning celebrity. I can think of others in the entertainment profession but they surely deserve their own commenting on. Surprisingly of all the merrie Mouseketeers in the original Mickey Mouse club, only one was born in 1947 and that one was NANCY. I thought she was so much younger. The atractive Hollywood actress Elizabeth Baur who portrayed Fran Belding in the TV series San Francisco beat. Fran was one of several undercover police women during the crime shows run. Initialy a New York socialite Fran swapped her role for a detective's whilst still maintaining elegance and style with her designer accessories. Born 26th December 1947. Correction; that should read 'glam rock group T rex' to be more precise. Don't know why i didn't think of this earlier. Marc Bolan front man for the rock group T rex sadly no longer with us. Was thinkng about the exclusive 27 club of musicians that met untimely deaths and think i've come up with a couple of those members though probably not so famous but none the less born in 1947. Wallace Yohn, oganist of the jazz band 'Chase' who died in a plane crash. Dave Alexander of the punk band 'The Stooges' died of pulmonary edima. Repose in peace. Might i add the name of Sir Elton John to this esteemed list! role but as the Royal consort. If i live long enough! Thanks limpet for the enlightenment, because I know very little about her. Re visiting this site i have come to realise just what we of this generation have experienced no matter what country born in we have 'made it' this far. This is called the getting of wisdom, i'll wager we all can recall what we were doing when certain world events occurred. Obviously, i do have a 'soft spot' for the Duchess of Cornwall for many reasons. Her Highness recently made public of forebears going off to the Great War and not returning. Reading those memoirs She states brought a tear to Her eyes , Her Grace does have an affinity with people. Thanks limpet, looking forward to it. I'd like to keep the thread going as it has been a learning experience for me. Shall keep you informed when i find out anything pertaining to your hub. Thanks limpet for stopping. I guess I'm in company of some pretty impressive people. It was a pleasant surprise to see H.R.H. Camilla Duchess of Cornwall in the Royal Box at Wimbledon. Her Highness does a marvellous job representing our Queen. Thanks Linda, yes it was a very good year. Thank you for stopping, see you later. Thanks James, you're sweet, but believe as of today I don't fit the category, it was purely tongue and cheek to put myself on the list. Thank you anyway,please come back. A legend in your own mind. I have a feeling you're not the only one. You worked for Michael Jackson!? Wow! That is impressive. Well, I enjoyed your fine Hub. It is an interesting and good read. Thank you. Thanks Green Lotus for your nice comment, adding myself was purely tongue and cheek. Anyway, thanks for stopping, see you later. I love it fastone! ..and you've included some of my favorite people (you included)..although sometime ms deen gets on my nerves. Like you, I'm a Georgia girl, but still have a problem with grits. Here's to a great year and a winning hubber. Thanks, Fastfreta for writing this. I really entertained with this hub, especially to know famous people. I hope we can learn something from them. It's about the spirit how to success like them and got some motivation in doing the best in our live. God bless you. Thanks stars439, I enjoyed doing it too. Thanks for stopping and please come visit again. Great hub. Really enjoyed it. God Bless You. Hi there Ashantina, thanks for the compliment. Hey, why don't you write a hub on ones that were born in your year, I'd love to read it. Thanks for stopping, see you later. Thank you very much Khan. Thank you also Wooded, I had thought about giving more info on Elton, but the article was getting too long. Thank you both so much for stopping and taking the time to leave a comment, hope to see you again soon. This is a very interesting and fun hub! It's good to know more about you and I love the photo in the Beverly Hills Hotel - Fancy! Elton is one of my favorites and he is in good company - with you! Hello, hello, I guess I should have prefaced the hub with not all listed are well liked, just notable, because here in California, Mr. Schwarzenegger is not that popular now. So I know what you mean. ssaul, I won't forget you the next time, LOL. Aw, Stephanie mclain, I was so hoping to read that one. Thank you all for stopping and reading, please come back again. you totally forgot to include me in the list of celebs born in 1947, lol! great info. love the read, hopefully next time you edit i can make the list! The world could have done without old Camilla. WOW!Thank you all for weighing in on this hub. Micky Dee, you're too much. Thanks. You're right Storytellersus, I have been busy, but not as much as I'd like. Thanks Frieda, I like this particular list too. Thanks Jamie, it was fun working for MJ, we had some very interesting experiences. Ivorwen, there were a lot that I didn't mention, but I do thank you for naming Mr. Aday, aka "Meat Loaf," in your comment. Mega1, you're cute, I'm not really famous, although writing this hub I just might after this, LOL! Stephanie Mclain, I wish you would write one on 1981, because I'd love to know "famous people" born that year. Thanks, Bk, I hope you write one on your year also. Actually these kinds of articles really interest me. TheListLady, you're too kind, and thank you for the rating. Creativeone59, you're welcome, it was my pleasure to do this. Thank you dj, I enjoyed it too. Oh hey there Tom, thanks, I hope more hubbers will do this kind of hub, I'd be sure to read them. Well Veronica, never thought of it that way, thanks for enlightening me, LOL. Thank you all for stopping and taking the time to read and leave those wonderful comments. It's good to learn of the famous people born in 1947 including you. Good read!!! Ah, there is one super star here fastfreta -you! I love how you did this. So clever and such fun. Yay! And rated up. Loving your hubs - they make me smile! Love the photo of the first star named Alfreta. What a woman. Yes, '47 was a great year. I'm a 49er myself but our mothers pushed out a great bunch of people during the 40s. And you have given me a hub idea that is a slight variation. Hmmmm. Fun, clever hub. And rated up of course. Yay! You have inspired me! :) I won't be writing a hub, but I am definitely on my way to look up people that were born in 1981. :) This was a great read, thanks for sharing. You are famous! I just knew it! and I expect you're a Leo, if not a Taurus. It is so encouraging and hopeful to know that aging doesn't matter all that much to the rich and famous and powerful! hoo boy! and I love that dress you wore in the Beverly Hills Hotel! What about Michael Lee Aday (born Marvin Lee Aday on September 27, 1947), better known by his stage name, Meat Loaf? Great hub and awesome group of people here. I think it's so neat that you worked for Michael Jackson! That's pretty awesome. As a teenager I was crazy about him and still had much respect for him up until the day of his death. I really felt a loss that day. Anyway, great hub! Wow, an impressive list, and an enjoyable one at that. Wow, I had no idea 1947 was such a banner year! Thanks for the fun hub! You have been busy- look at all the hubs you have written. You are getting better and better. Good job. Nice to see other celebrities with fastfreta! You're the best of 1947! God bless dear!